Let’s get one thing straight from the outset: double-deckers aren’t necessarily prone to rolling over. We experienced this on our recent drive of the MAN A95 double-decker chassis with Gemilang’s ‘Eco Range’ body. Try as we might, we couldn’t seem to get the bus to roll even one degree despite some tight cornering at a virtually empty Sydney Olympic Park precinct. 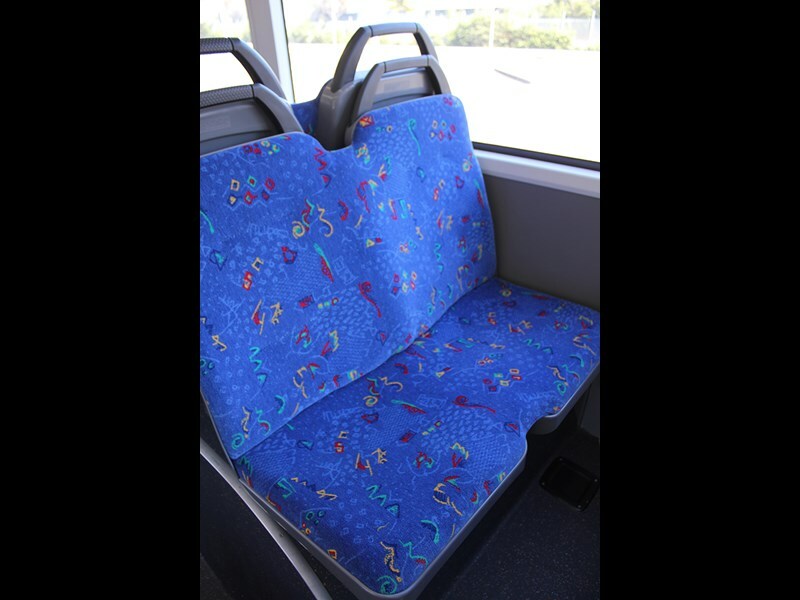 (Check out the video on busnews.com.au; and authorities please note: it was done very carefully and legally). 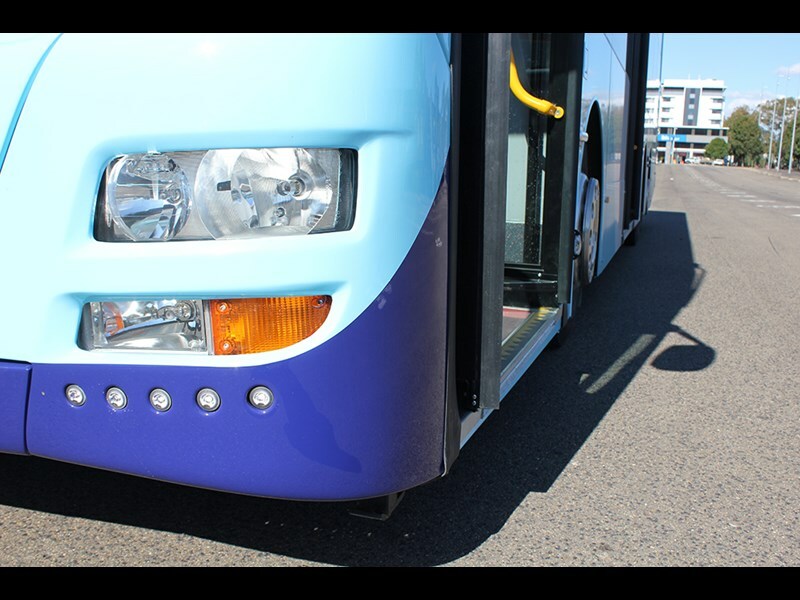 It was a surprising and pretty amazing experience, which MAN puts down to having stabiliser bars on each of the three axles of this 12-metre low floor city bus, combined with its low centre of gravity and light aluminium construction. Adding reassurance was MAN’s electronic stability program (ESP), which would have instantly and automatically reduced the engine torque or braked targeted wheels if we had got too carried away. But great roll stability is not the only standout feature of the A95 Eco Range. The other remarkable thing in our book is the fact that this bus has only one step on the bottom deck, right at the back row of seats. That’s because it has a portal axle (see photo) which are common in Europe but unusual in Australia so far. 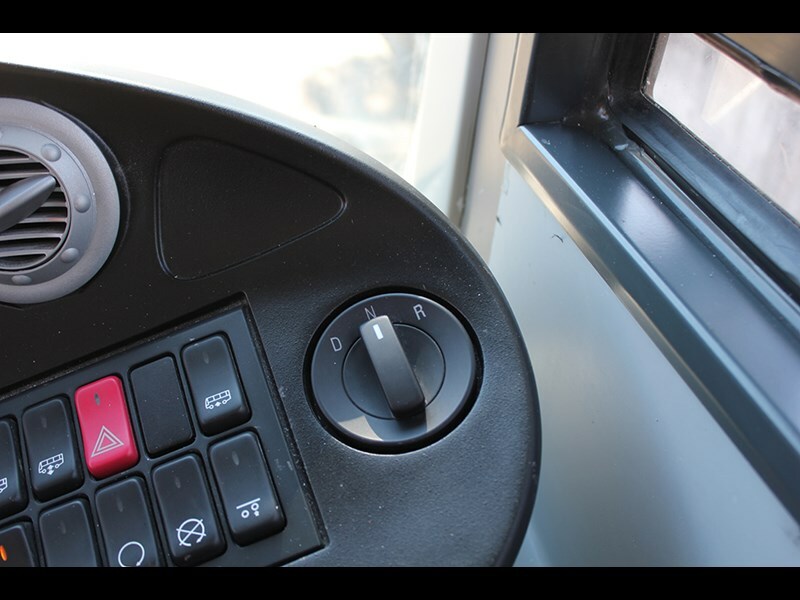 The differential is offset to the left, and there are intermediate planetary gears stepping up to the wheel centre, so passengers don’t have to "walk over" the axle – enabling a flat aisle right to the back. This bus will be one of the big attractions (literally) at the Australian Bus and Coach Show in Sydney in October. 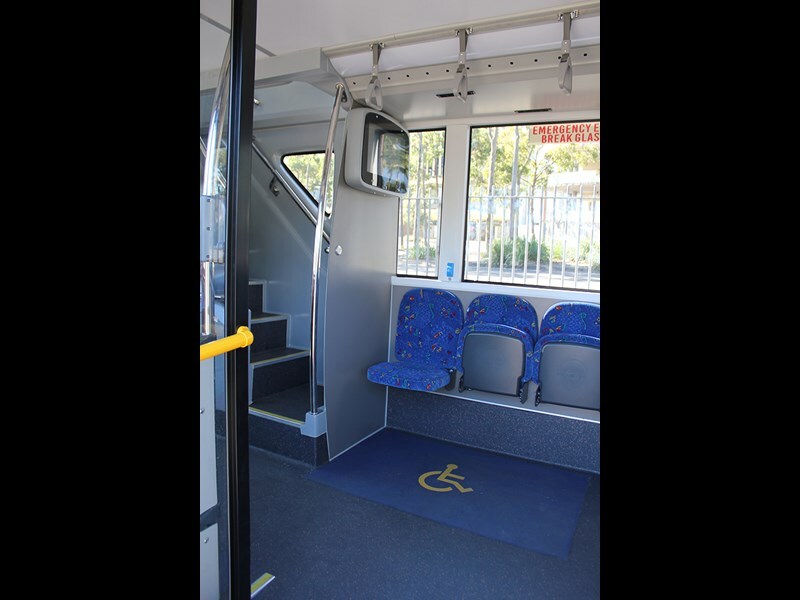 It’s been designed by Gemilang Australia especially for the Sydney market, and is being trialled by Transport for NSW operators -- hence the distinctive blue government paint job. It has passed the rigorous TfNSW procurement panel requirements. 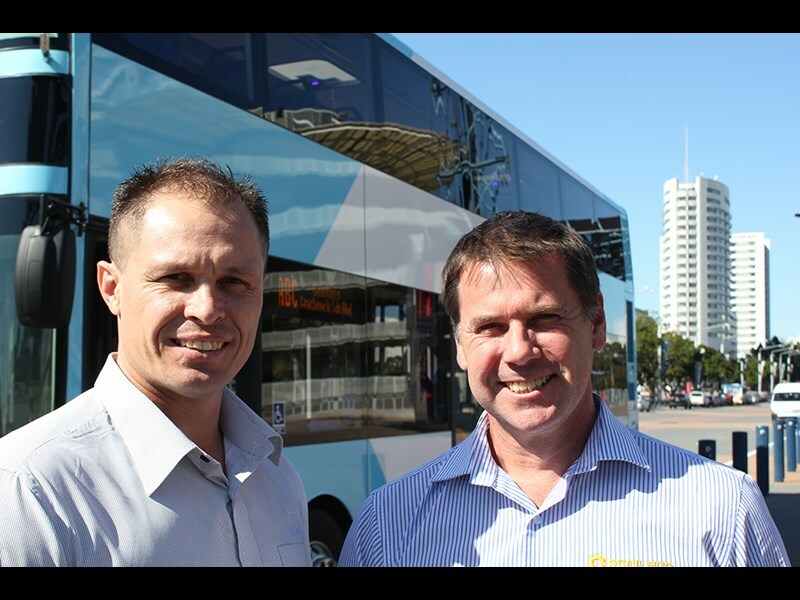 MAN and Gemilang have their eye on the increasing number of Sydney bus routes which are opening up to double-deckers. And if you’ve spent any time in Sydney traffic, you’ll know why double-deckers are making a comeback. 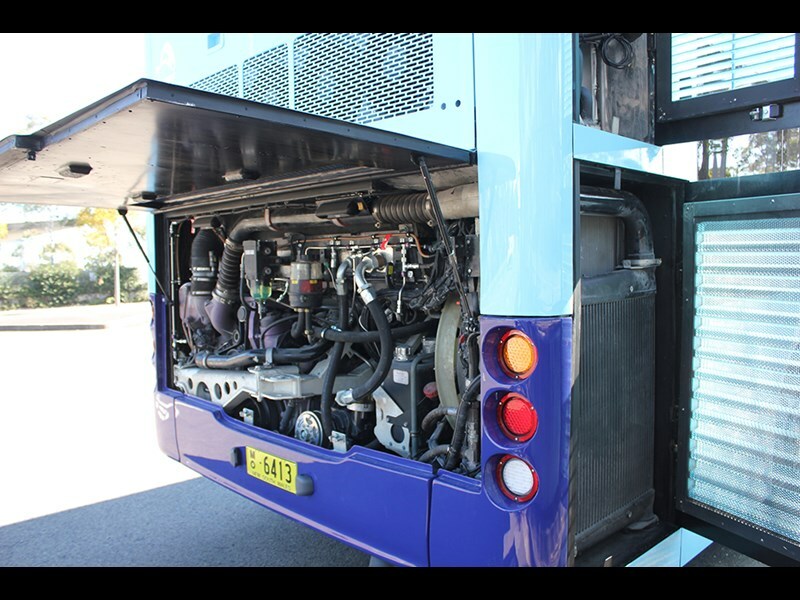 "The advantage of a double-decker over a bendy bus is that you’re consuming 12 metres of real estate on the road instead of 18 metres," says Clint Stoermer, operations manager for MAN bus in Australia, who started his working life as a bus auto electrician. 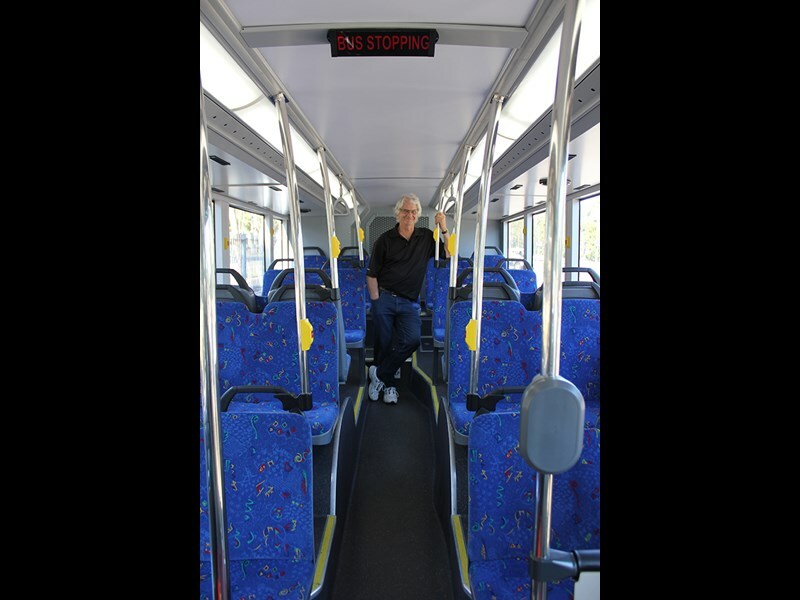 Stoermer says another advantage of his bus is that it has the manoeuvrability of an articulated bus, but without the worry of turntable maintenance. 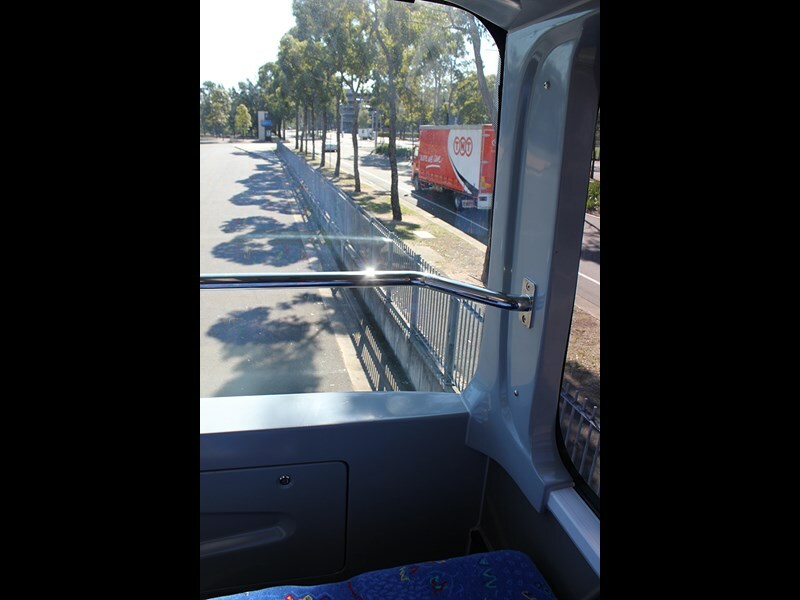 On the increasing number of double-decker routes in Sydney – such as on the northern beaches -- the authorities are making sure that there are no low obstacles in the way, such as trees, tunnels and, of course, bridges. On our way to Olympic Park from western Sydney recently we just made it under a 4.4-metre bridge near Parramatta. Returning on a major arterial with three narrow lanes each way, we had to be watchful of the combination of a sharp drop into the gutter and power poles. Apart from that, after a few minutes behind the wheel you forget that you’ve got another deck above you. The A95 has MAN’s proven D20 six-cylinder, 10.5-litre engine. This particular one is laying on its side and has the version putting out 320 horsepower (235kW) and 1600 newton metres (Nm) of torque, which we found to be plenty – albeit minus the 100 passengers which can be on-board. But if you want a bit more grunt and don’t mind using a bit more fuel, you could opt for the 360hp (265kW) version with 1800Nm. The bus accelerates well from a standing start with no apparent turbo lag. And when we turned onto an uphill ramp to the freeway, there was plenty of power to get up to speed nicely before merging into the flow. We quickly got up to the road-works speed limit of 80 kilometres an hour, and it was clear that this bus would have no trouble reaching its likely general limit of 90 km/h. Stopping power was just as impressive using the all-wheel disc brakes, which have self-adjusting calipers and pad wear sensors. The brakes are well supplemented by the three-stage transmission retarder operated via the brake pedal. That transmission is ZF’s 6-speed fully automatic ‘Ecolife’, and it matches the engine well. You wouldn’t need it normally, but for extra reassurance there is a two-second hill start assist function to stop you rolling back at lights. Manoeuvrability is good thanks to the relatively short wheelbase and steerable tag axle. The Thoreb multiplexing unit has a screen for the driver which, amongst many other things, shows which doors are open and closed; and displays the field of the reversing camera. Operators and mechanics are going to like the extended 60,000-kilometre service intervals. Meanwhile, whether it’s the nature of the engine or its fit with the body or both, this bus is remarkably quiet, both on the inside and outside. There’s some fairly prominent turbo whistle, but it’s not intrusive and actually adds to the impression of power. The only significant noise on either deck is the air-conditioning fans, which are in a bank right up the back of the top level. That’s because they obviously can’t be placed on the roof. With the air-con off, it’s extremely quiet up top. There were a few minor little squeaks and rattles but Gemilang says they will be fixed after a month’s running. We had the privilege of one of the first drives of this bus. This chassis and body design combination has been "torture tested" for 30,000 kilometres over three months at MAN’s rough road track in Germany. The bus also endured a tilt test which MAN says it passed with flying colours. "There’s no risk to the customer," says Clint Stoermer. "MAN have done the heavy lifting in terms of homologation (official approvals) so we see this as a joint package." 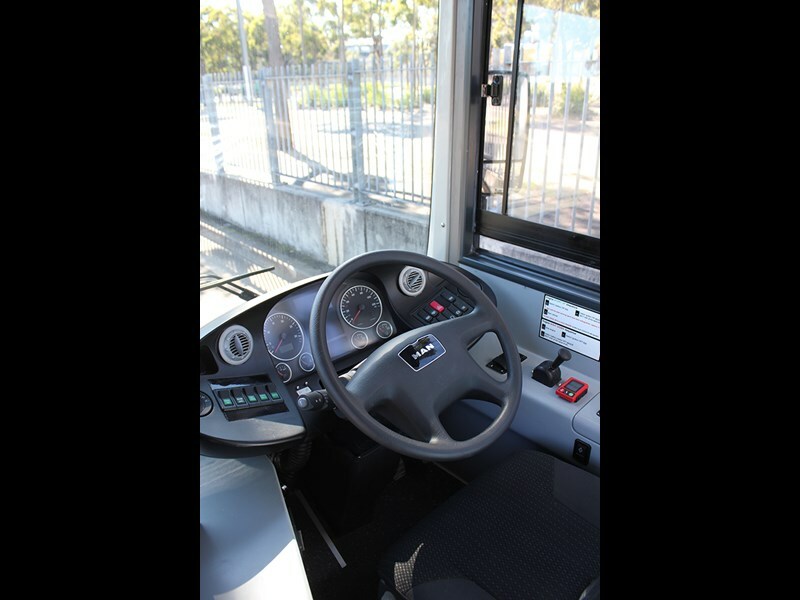 Gemilang may not be a well-known name to Australian operators, but Stoermer says MAN has built hundreds of buses with the brand, which was established in Malaysia in the late 1980s. "Gemilang is a strategic partner with MAN in the Malaysian market and Singaporean market and now the Hong Kong and Australian markets," he says. "We’re supremely confident about not just the chassis, but the complete vehicle, body included." The Gemilang body has aluminium panels over bolted extruded aluminium frames. It’s fitted onto the complete chassis assembly – MAN doesn’t send the chassis in buggy form. The seats are made in Malaysia by Vogel Industries at a factory near the Gemilang plant in Johor, just across from Singapore. They’re comfortable and, of course, the view from the front row of seats on the top deck is spectacular. Walking up to the top deck is pretty easy on the single set of stairs. This bus is a proof-of-concept unit, and it shows. MAN and Gemilang say that with their initial NSW experience under their belt, the next iterations will have significant improvements. 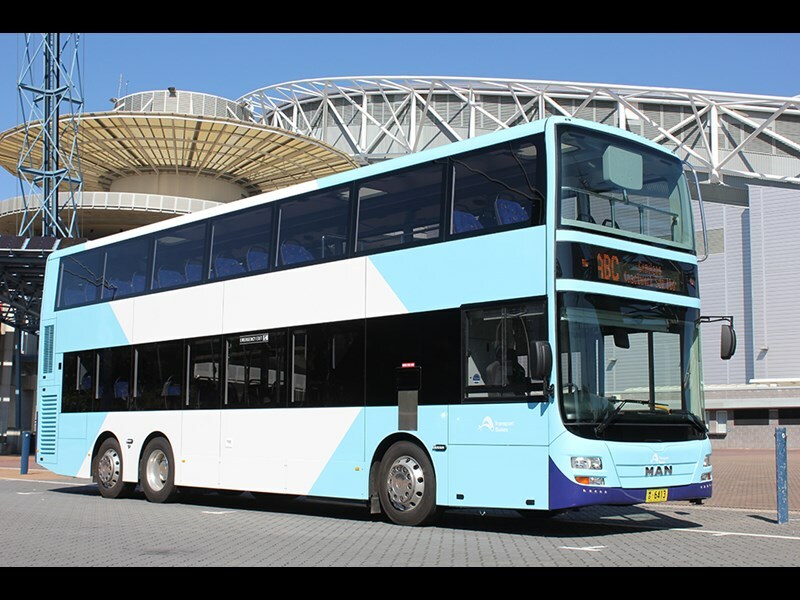 They will need to if they are going to match likely stiff double-decker competition in both Australia and New Zealand from the likes of Bustech, Volgren and BCI. For one thing, after stripping some weight out of the body the next version of the A95 will have up to 87 seats rather than the current 80, which was a conservative figure to make sure the bus met existing NSW weight limits. 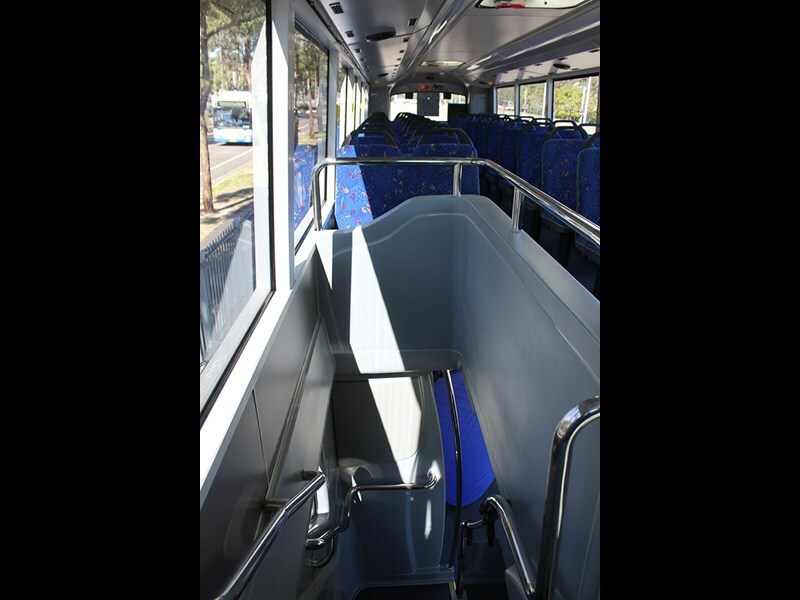 There is heaps of headroom downstairs, all the way to the back of the bus – but it’s a different story on the upper deck where headroom is tight. I’m about 178cm and couldn’t stand fully upright upstairs. 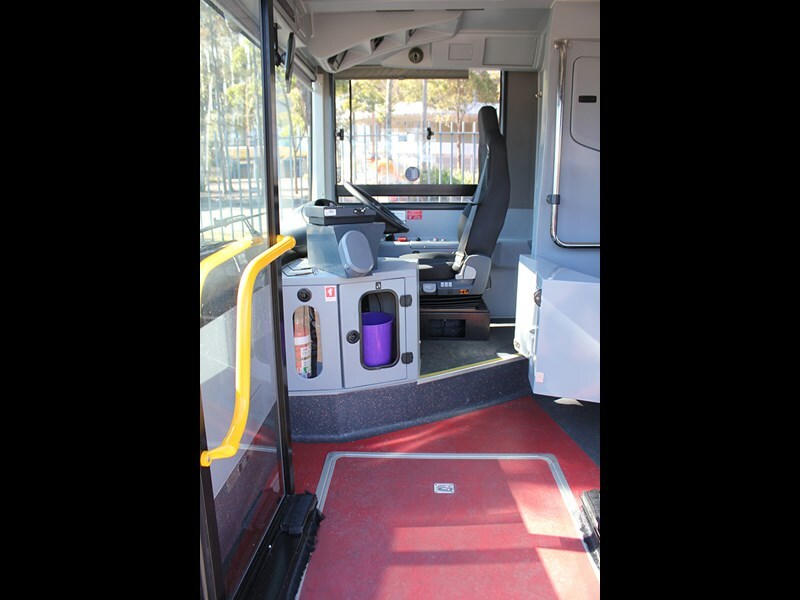 The next version will have a top deck which is four centimetres higher. "This is a first of type so we did learn a lot through the process," says Stoermer. "So (for) serious production, we can have additional seating capacity and a little bit of extra headroom in the upper deck." The next version will also have a longer arm on the passenger side rear vision mirrors. While that will make them more likely to be hit by things, it will also allow full vision of the front left wheel through the spotter; and full vision of both the rear left wheel and following traffic through the main mirror.